Happy to announce an informal Hackteria hack-session and gathering coming up soon in RandeLab, 18-23. April, means over the easter holiday. And we’ll go beyond eggs!! Read more on the wiki and join the online discussion in our forum. Hackteria has always been focusing strongly on two things: the development of new workshop concepts and establishing a global collaborative network. With this in mind we have invited TeZ Maurizio Martinucci to work together with Urs Gaudenz for one week and look deeper into possibilities of Kirlian photography and a collection of other super-natural imaging techniques that been the subject of mainstream scientific research, parapsychology research and art. The goal of these visits is to establish collaborative interactions with local practitioners from Switzerland and invite a public audience for interesting interactions. Join on 6.April (yes this Saturday!!) afternoon, 17-19h, at GaudiLabs in Luzern to get insights and experience the prototypes of a one week research about Super Natural Imaging techniques, SonoGenetics and High Voltage plasmas. Urs and TeZ will introduce their collaborative experiments, give short presentations and the day will be rounded up with various sound and visual experiences. This workshop / research-visit series is part of our 2019 Hackteria Decenniale Programme co-funded by Migros Kulturprozent. We have been invited to present HUMUS.Sapiens in Paris during the event Seeds&Soils hosted by the Centre Culturel Suisse. 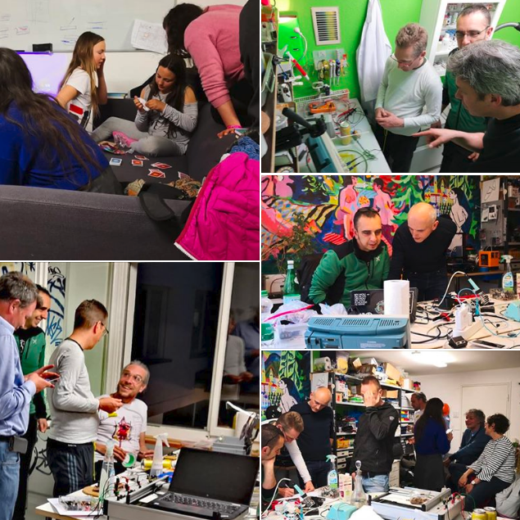 During the Symposium we held a workshop on “Open Soil Research” by Julian Chollet, mikrobiomik.org An Article in Makery by Ewen Chardronnet has been published in French about the workshop. As a community platform hackteria tries to encourage the collaboration of scientists, hackers and artists to combine their experitise, write critical and theoretical reflections, share simple instructions to work with lifescience technologies and cooperate on the organization of workshops, temporary labs, hack-sprints and meetings. 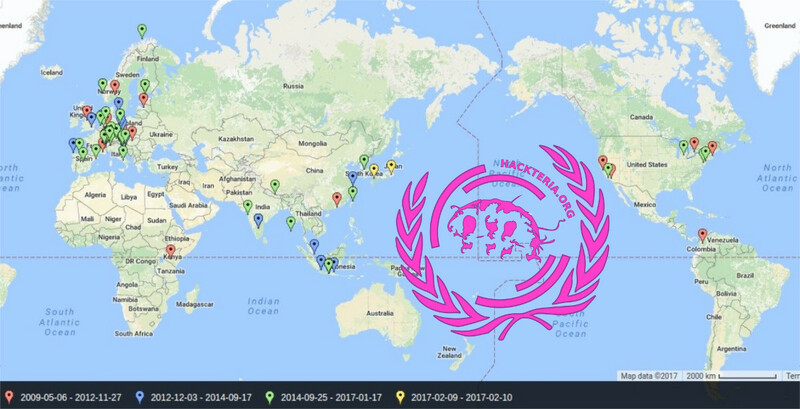 Hackteria operates on a global scale, and is based on a web platform and a wiki for sharing knowledge, which enable anyone to learn but also test different ways of hacking living systems. Go to the Hackteria Wiki to join the global network discussions! Look at our selection of the most relevant publication and media articles about hackteria. 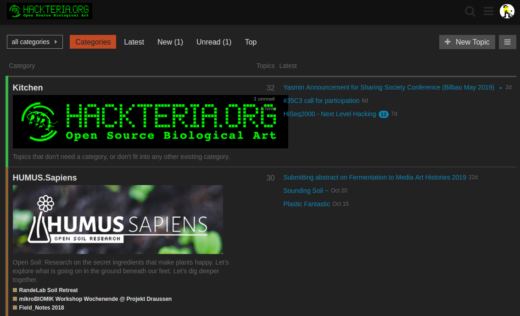 You can also scroll through the media blog posts on the hackteria website.